Today is the first day in the last couple of weeks that I have been able to sit quietly in front of my computer and my blog. There are so many wonderful friends that I haven't been able to visit for weeks and I have so much catching up to do. Thank you for all the lovely emails wondering as to where I have been, I know I am a very lucky person to have such caring friends. I know I have missed a few parties and I have been hopeless in replying to comments. I have been totally lost for words recently.. and I mean totally. Hmmmm.... Coty's going mad!! you may be thinking. I met an amazing woman many, many years ago who once helped me through a difficult time. We lost touch... but I have always known that when the time was right I would find the time to learn more from her again. To my absolute delight she is now teaching in my home town and I have been absorbed in her wonderful courses and retreats for the last month. I have always, even as a little girl had a strong connection to my soul and my past lives. I have had many beautiful little spirits visit me through my life with messages and I know my family and friends who have passed on have always been around when I needed them. I have always been a little clairvoyant and have tried to give when ever I can. When I create and style I connect to my soul and somehow the beauty and ideas just flow...... it all just happens. 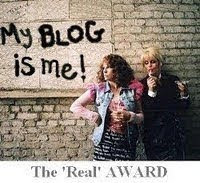 This year I received "The Real Award" from one the most caring and gorgeous girls in this blog world, Julie at Being Ruby, well Julie, I think today I have been pretty real, 'real' about my life and 'real' about my feelings, hmmmm or as Julie says he he..
else to see something differently. A few months ago I received an award from the very flamboyant & stylish blogger Silvia in Argentina "Casa Bella Decor" and a couple of weeks ago I received the same award from Sharon in France who has the most divine home and blog "My French Country Home" . 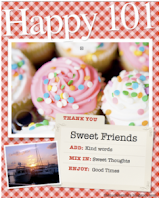 to which I am to share ten things that make me happy. Oh my..... there are so many things that make me happy... many more than ten. It's a very pink post today and special 2nd Birthday for a special pink party happening over at Beverly's How Sweet the Sound Blog in the USA. Hi Coty, congratulations to the well deserved awards. It's always amazing, what beautifull photos you show - the roses are to die for. And this little fairy girl is so cute and so natural. Like an allegory for a lucky childhood. It was very interesting to read about your deeply thoughts and I am sure, this is what makes your photos so special. Each time I stop by it becomes clearer and clearer what I love about blogging! I feel a gift has been given to me each and every visit I this place of beauty and inspiration...called "your blog" and always leave here smiling and uplifted! Coty, this is lovely. If anyone understands about needing a little time, I do. So, you just know that you take all the time you need and we are so happy to see you whenever you post...please forgive if I don't visit like I should...I know you understand! Your photos and styling are beautiful...it truly is a gift you have! Sounds as though you are at a very good place in your life Coty - all power to you. I've missed you, but realize now what you are doing is very important, so can't be selfish. Adorable splash of fresh pink here today, thank you dear. Hi Coty, Thank you for your kind words. So many awards, so well deserved. These photos are stunning as always, I love your photo collages, you put them together like bunches of flowers! Visiting you is like a breath of fresh air and makes me want to hop a plane and bring a bottle of champagne and just visit a while. Beautiful images and lovely sentiments. It's wonderful to hear that you've been spending time doing something that obviously brings you inner peace and spiritual enrichment. I think of you often and consider you as one of my very favorite friends. You're certainly channeling some wonderfully talented "little spirits." It always gives me great joy to stop by and spend time enthralled by your gorgeous styling and spectacular photography. Happy Pink Saturday to you, dear Coty. But, more importantly, I wish you a happy heart. I love it when you participate with us. And, I love your spirit, your eye for beauty and your sharing heart. I have had many experiences throughout my life that sound like the ones you share. I do believe there is much more in life to those whose hearts are open to the experience. You sound happy, relaxed and content. Just continue to let all the good energy surround you. Continue taking good care of Coty! Loved the blue post below...thank you for reminding me why it's my favorite color.